The Kenya National Archives is a collection of documents of the Kenyan government during the colonial period to independence. Welcome to Syracuse University Libraries and the Kenya National Archive Collections! Click on the tabs in the gray area above to view the contents of this website, or follow the suggestions below. 1.Read the Visiting Scholars page. 2. Bring a USB drive to save any documents you might want. 3. Use the links on this page to guides to the Kenya National Archives collections, available largely on microfilm. The microfilm collections are located on the 3rd floor of Bird Library. 4. Review the Microfilm description and numbers of specific parts of the collection. 5. Use Interlibrary Loan at your institution if you are unable to come to Syracuse University. 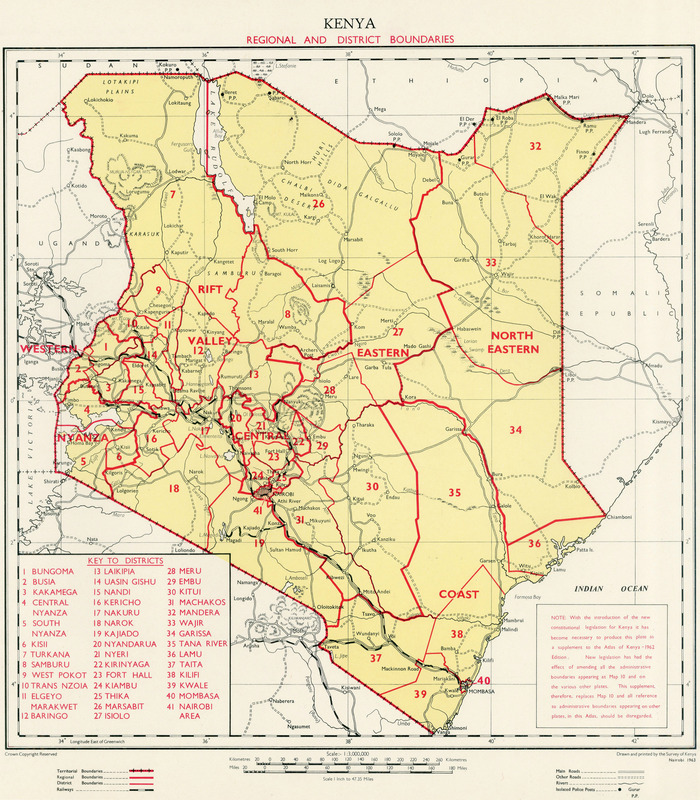 This website is a guide to the Kenyan National Archive collections here at Syracuse University Libraries. (2005) "Navigating the Kenya National Archives: Research and its Role in Kenyan Society" by Matthew Carotenuto and Katherine Luongo. History in Africa, Volume 32. 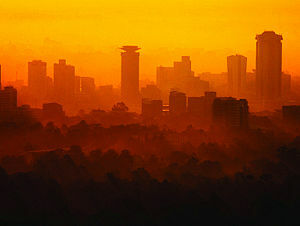 You may want to start here before plunging into the Kenya National Archive microfilm collections. PLEASE NOTE: It may take some time for the pages to load due to the digital format. As an alternative, you may want to view the documents in Adobe Acrobat if you have access. Includes microfilm holdings of Africana held in Syracuse University Library. The entries include brief annotations as well as the microfilm reel numbers. A subject guide to KNA documents leading to 157 microfilm reels divided into seven sections (see the box below). The reels are housed on the 3rd floor of Syracuse University's Bird Library, arranged by their microfilm numbers. Guide to the Kenya National Archives, Call number: Z 3583 .K4 G85 1968, Location: Bird Library, 5th Floor; Martin Luther King Library. National Archives, Call Number: Z3516 .S9 no.22, etc., Location: Bird-5th Floor, Library has: pt.1 (shelved under Z3516.S9 no.22), pt.2 (shelved under Z3526.S9 no.24), pt.3 (shelved under Z3526.S9 no.25-26); M.L. King Lib-Sims, has pts 1-3.
microfilm at Syracuse University, Call Number: Z3516 .S9 no.6, Location: Bird-5th Floor.